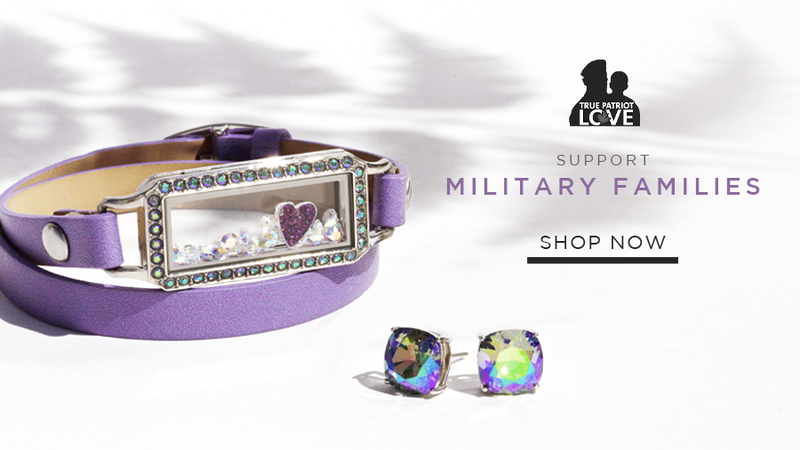 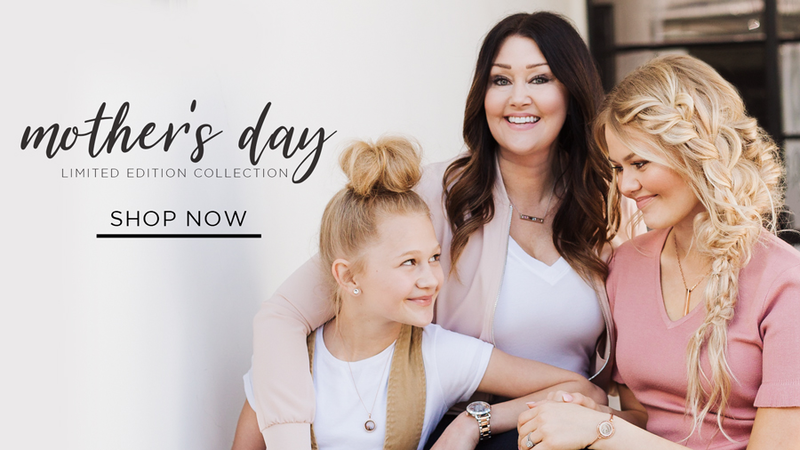 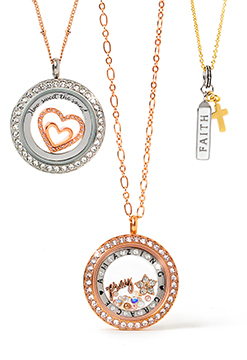 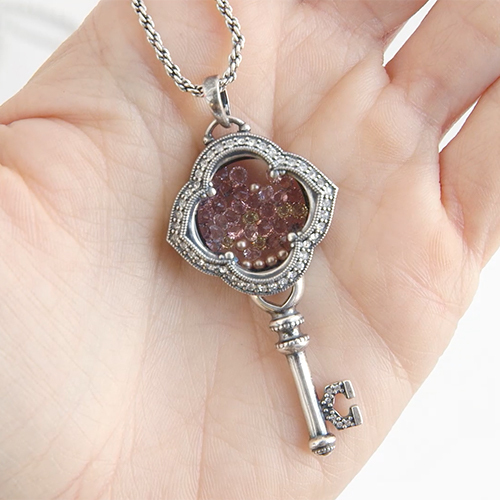 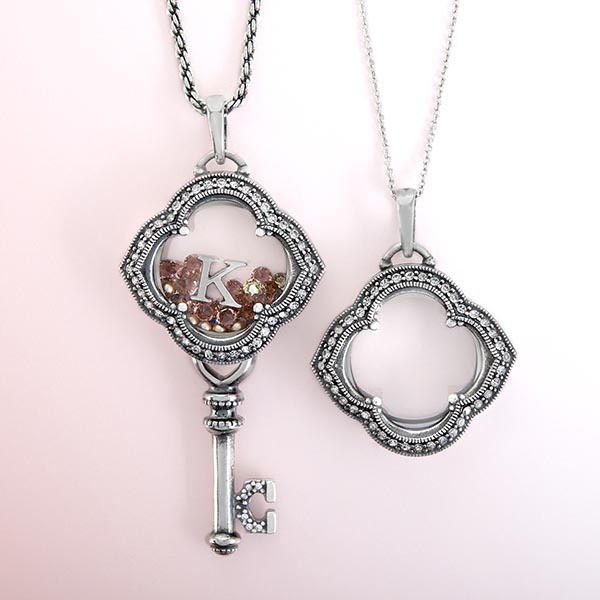 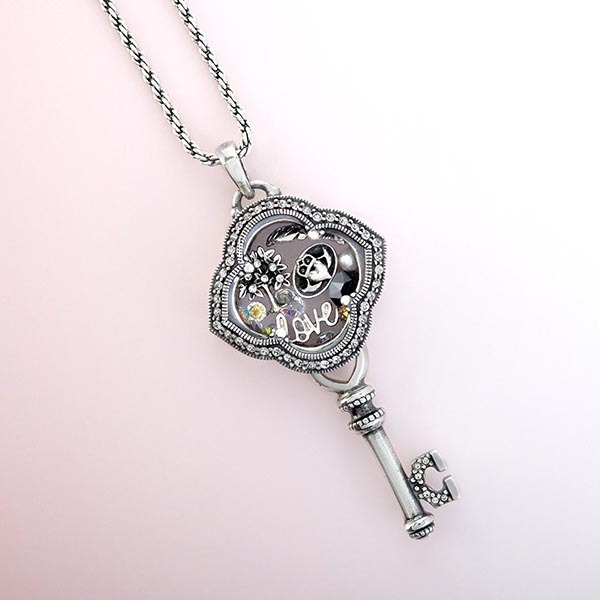 Connect with the moments that matter most with our Silver Convertible Vintage Key Living Locket® with Swarovski® Crystals. 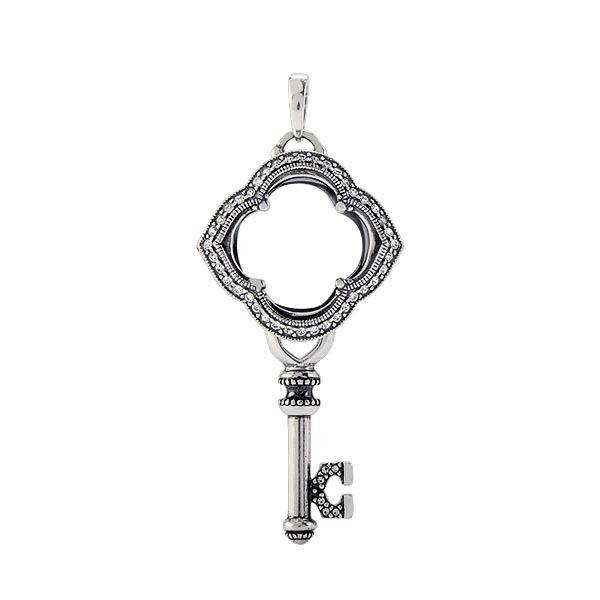 Resembling a beautiful antique Marcasite treasure, unlock your story with this stunning Living Locket featuring two-looks-in-one. 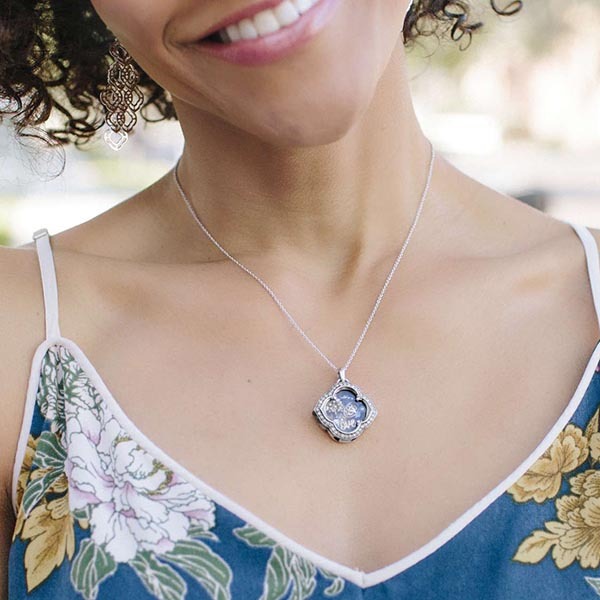 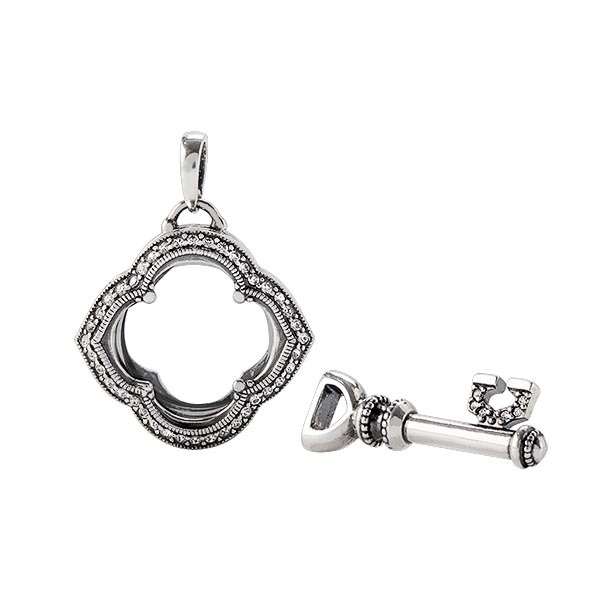 Wear it on a Chain as a complete piece as pictured, or simply remove the bottom “key” portion to create a unique quatrefoil Living Locket look.